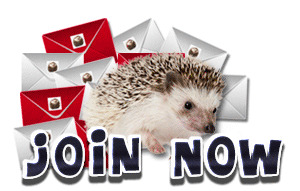 Website-Traffic-Hog with over 13,000 active members is an Innovative Traffic Exchange That Will Bring You Results! NOW OFFERING A RESULT ORIENTED MAILER AS WELL!!! Your business or offers will get in front of thousands of Website Owners and Marketers. 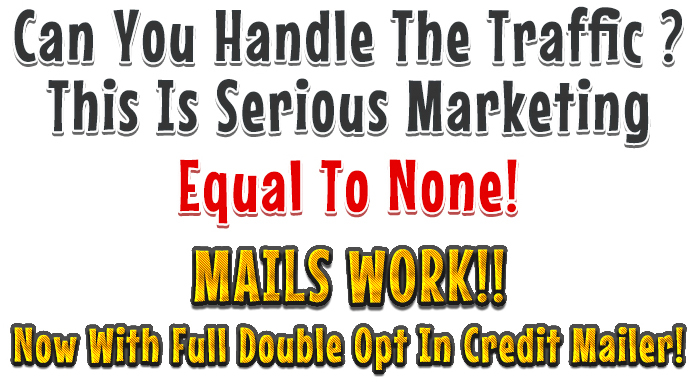 -Reach an 5 year established member base with double opt in credit mails! -Earn Bonus Email Credits by surfing, win cash and prizes! -You can also earn "Guaranteed Views" while surfing for more Website Traffic. -"Guaranteed Views" give this Traffic Exchange a wider audience reach for you. Get Website Traffic that really counts, and increase your chance for your success Today! * Every Member Gets On The "Spotlight Login Ad" Just By Surfing 25! * Plus Get 24 hours Advertising Across The Net! * Powerful Exposure For Minutes Of Your Time! Marty is one of the good owners in the TE World. She runs a tight ship at her TE. We do surfing promos with her almost monthly because of the excellent traffic her TE creates. 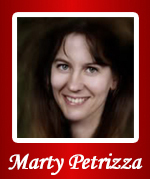 Marty has always shown the best of integrity in all of her business dealings with me. Cheers! Who knew a hog could bring so much quality traffic. Marty has done it again! Website-Traffic-Hog is one of the traffic exchanges where I make sure I ALWAYS have credits assigned to my sites. The quality of the traffic is great and the results I get put it as the top few traffic exchanges I always use. Website-Traffic-Hog is a Winner... Unique exchange with features you'll want - Quality traffic delivery, Guaranteed Views. Loaded with Email and Affiliate Marketing strategies and tips. Website-Traffic-Hog.com is NOT an MLM, Pyramid Scheme, or Get-Rich-Quick program. We do not require you to pay any fees ever to join and participate in our site. We do not require you to have a website or sell any product to use our service. We do not require you to refer anyone to our site to use our service. You will not get rich by using our program. We are an internet advertising program. Copyright © 2009 - 2019. Website-Traffic-Hog and Mailer. All Rights Reserved Worldwide.